Taxi Choice has over 20 years’ experience in providing cover to private hire taxi drivers and company owners. 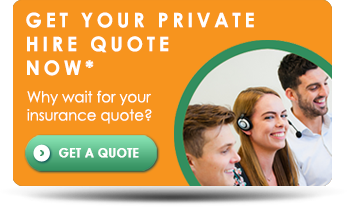 If you’re looking for a great deal, then why not let our team of specialists shop the market for a competitive quote with all the cover you need? We also have a widespread reputation for offering a personalised service and understand that this is key to our success. Our dedicated UK based team promise to treat you as an individual and be on hand to help you throughout the life of your policy. For more information just call 0333 200 0089 or fill in our short online enquiry form here and we’ll be in touch. Hailed in the street? If your fares aren’t pre-arranged then please click here to be redirected to our public hire insurance page. Alternatively, call our team of experts for a quote. *To obtain a quotation you will need to speak to a member of our team. Once we have received your details (either online or over the phone) we can compare prices from our panel of insurers in just a few minutes. Please note our office opening times are Monday – Friday, 9am – 5pm and quotes cannot be retrieved online.